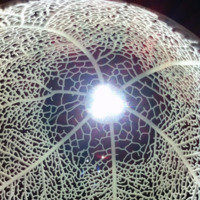 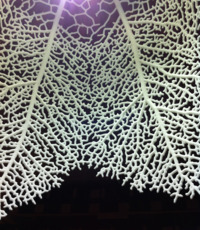 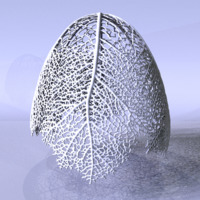 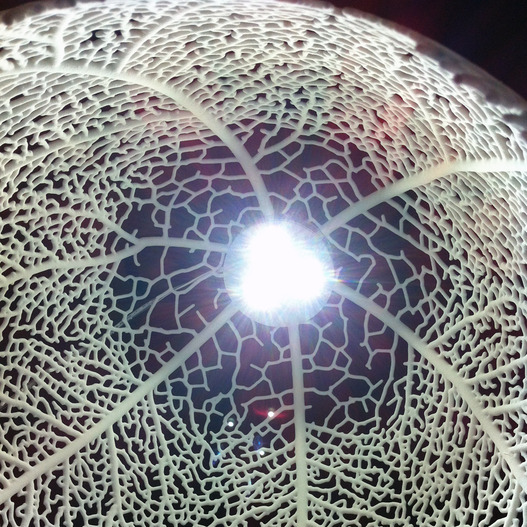 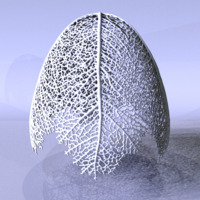 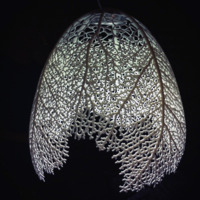 The Arboreal Pendant is a series of organic pendant lamps based on how veins form in leaves. Each lamp is a completely one-of-a-kind design 3D-printed in nylon plastic. 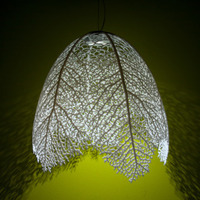 The lamps are lit by eco-friendly LED's and cast dramatic branching shadows on the wall and floor. 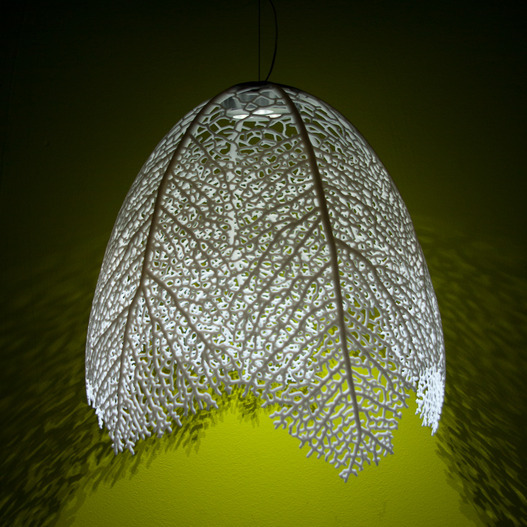 The lamp comes with an eco-friendly 3-watt 200 lumen LED light fixture featuring three bright Cree LEDs and covered by a 3-year warranty. 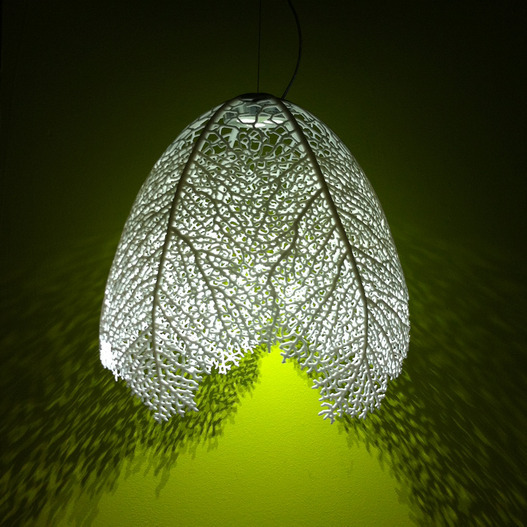 It is UL-listed and works off a 120V or 240V outlet. The lamp hangs from a stainless steel cable and comes with a wall plug. 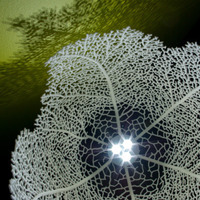 Each lamp is one of a kind, you will receive a lamp similar to the one pictured. 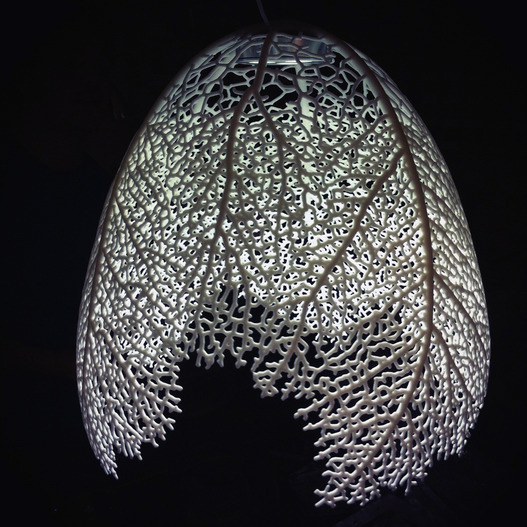 We are currently sold out of the Arboreal Lamp , but we will be listing more soon. 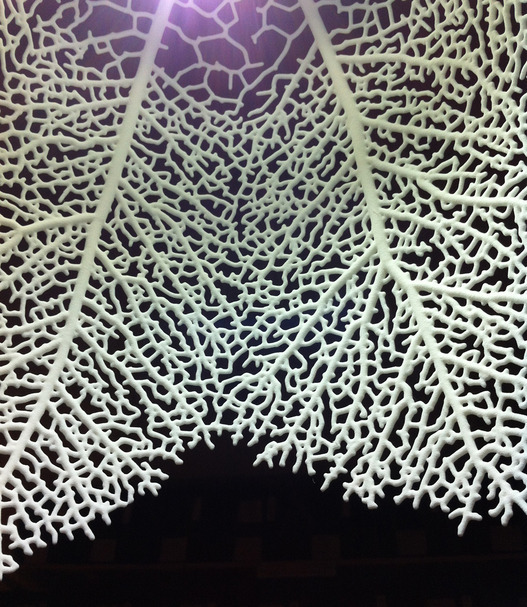 If you want to be notified when they are available, please join our mailing list.